Everyone has heard the saying, “Smile and the whole world smiles with you,” but what if you are afraid to smile? People who have cracked, chipped, or irregularly or oddly shaped teeth can be afraid to smile. The good news is that a dental procedure called tooth reshaping can be just the ticket to a more beautiful smile. Tooth reshaping, and/or contouring, is one of few immediate cosmetic dental treatments. Dental reshaping and contouring can correct crooked teeth, chipped teeth, cracked teeth and sometimes even overlapping teeth in just one session. Tooth reshaping is often used to alter the length, shape or even position of teeth. In some circumstances tooth reshaping can even substitute for braces! It is also an extremely subtle procedure in which a few millimetres of tooth reduction and the addition of a few millimetres of tooth-coloured bonding can fashion a stunning smile. The best part is, tooth reshaping normally causes no discomfort to the patient! Who is a Candidate for Tooth Reshaping and Contouring? If you have crowded teeth, teeth with chips or fractures, tooth overlaps, or irregularities in your tooth enamel you should discuss tooth reshaping with your dentist. Just a touch of reshaping and contouring can make an enormous difference in how you feel about your smile. Your dentist first takes X-rays to ensure that you are a good candidate for reshaping and contouring. Then your teeth will be marked by the dentist to identify the areas that need work. A sanding tool or laser is used to take off minimal amounts of surface enamel as imperfections are artfully eased away. Anaesthetic is usually unnecessary and teeth contouring and reshaping usually takes one to three visits. How Much Does Tooth Reshaping Cost? 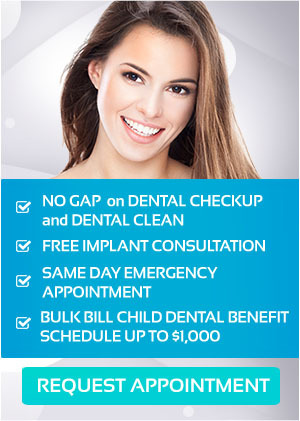 Most dental insurance covers tooth reshaping and contouring if it is needed as a result of an accident. But even if it is not covered by insurance, it is a fairly inexpensive procedure. Is Tooth Reshaping for Me? Like all procedures, reshaping has pros and cons. Tooth reshaping is quick, easy, without pain, and relatively inexpensive. On the other hand too much work can result in excessive removal of enamel and decay and even tooth breakage. This makes it very important to choose the proper dentist. Because, like all dental procedures, skill and experience matters, United Smiles is an excellent place to discuss the possibility of tooth reshaping and contouring, and an even better place to get your procedure done. At United Smiles, we use the most modern technology available when it comes to tooth repair and aesthetic improvements and our dentists are impeccably trained and experienced. United Smiles is conveniently located in the heart of Mernda Village, serving patients from all Melbourne metro areas. Our office includes ample parking at the rear of the building. Wheelchair access is also available at the front of the building. Surgery can be performed on patients while they are still in their wheelchairs. To discover more about United Smiles, call us today on (03) 8682 8658 or book an appointment online.